To work in Japan, a foreigner must receive a job offer from a guarantor in Japan, and then apply for a working visa at an embassy or consulate outside the country. 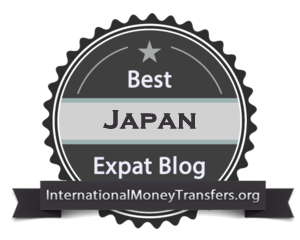 In most cases in order to work full time in Japan you need to have a University degree and you also require the backing of a company in Japan to sponsor your visa. There are about a dozen types of working visas available, each allowing the holder to work only within a defined professional field, e.g. as an engineer, instructor or entertainer. Working visas are valid for a period of 1 to 3 years, and may be used to secure employment at any employer within the scope of activities designated on the visa (including employers other than the guarantor). Spouses of Japanese nationals can obtain spousal visas, which carry no restrictions on employment. The Working Holiday program is open to young citizens (between 18 and 30) from Australia, New Zealand, Canada, South Korea, France, Germany, Ireland and the UK: those eligible may apply for working holiday visas without having a job offer. The most common form of employment among foreigners is teaching English. Many foreign residents from English speaking countries now work in Japan, most as language instructors. The demand for native language instructors remains high, with a lot of major language schools now operating recruitment offices overseas. It is quite easy to find work teaching in Japan as there are many eikaiwa (conversation schools). The most famous being Nova, GEOS and AEON. I recommend teaching in Elementary or JHS with an ALT company as this is the most rewarding. Other fields that qualified residents have a good chance to find work include translation, IT, modeling and entertainment. The best site to look for employment in Japan is Gaijinpot. 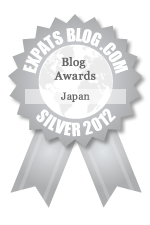 www.alttokyo.com is another good free site to post your resume for possible employent in Japan. I often look at the live radiation plot too just for a live snapshot. Metropolis website have soe classifieds with job adds too, worth looking at. Out of curiosity what kind of entertainment jobs are there usually to be found and how would one find them (As I have looked for a number of different jobs and it's mostly teaching that comes up). Same with modeling. Thanks Anon, the most common form of employment for foreigners in Japan is teaching, so most of the jobs that come up will be for teaching English. In the field of entertainment there are fewer jobs but these include such things as modelling, acting, bar work and hostess work in clubs. Thanks Jason, Keep learning Japanese because every little bit will help you over here in Japan. I would recommend taking a short trip to Japan to see if you like it and the culture before deciding to move over. A good way to get over here for someone like yourself might be the working holiday program. Hello Jap-Aus, I am 18 and currently on deferment from Uni in Australia (Have already completed one term receiving a passing mark).Long story short, I deferred because I really want to become an English teacher in Japan but I do not want to take three years to acquire a degree and then travel over. So my question is do you know of any places (websites included) that would hire a Native English teacher in Japan who does not have a University degree? P.S Your blog is great, very helpful! Thanks Anon, The purpose of the University Degree is to secure a work visa for Japan. This is one of the requirements by the government in order to work full-time in Japan. If you have a spouse visa (married to a Japanese National) then you can secure work without the requirement of a degree. The other way to get over to Japan would be on the Working Holiday Program, which is open to young citizens (between 18 and 30) from Australia, New Zealand, Canada, South Korea, France, Germany, Ireland and the UK. Hi! I'm a uni student and I'm also considering teaching English in Japan once I finish my degree next year. I was wondering if having a TEFL, CELTA qualification is a must? Hi Anon, A TEFL or CELTA qualification is not a requirement, but recruiters do look favorably upon them, especially the better companies. They also prefer some sort of teaching experience (this could be tutoring or language exchange you've done at uni) as well as Japanese language skills. I will soon have a post up on Teaching English in Japan, so stay tuned! I'm considering working a ski season in Japan next winter but I don't currently speak any Japanese, is it possible to get a job in Niseko with just mostly English? I'd most likely be looking at working as a cleaner or bar tender & don't think I could learn fluent Japanese in that time. Cheers! Hi Tara, A lot of Aussies come over to Japan to work at the ski resorts in Niseko or Nagano. Nagano is almost like a second Australia at times. 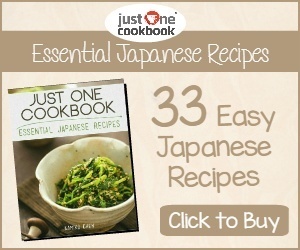 Most people who come over only have basic Japanese. I would recommend at least getting a basic understanding of Japanese behind you as this will only enhance your job prospects. Good luck! I'm 18 and currently not in University. I want to be an English teacher in Japan and was wondering about degrees, does it matter what degree you have? Do Employers look for anything especially? Hey i've got some questions,dunno if you still answer .Let me tell you my story a bit,hope you'll read. I'm 17,i'm going to be 18 soon and finish my Diploma in Tourism and Hotel industry. I thought about it,when i finish HIGHSCHOOL ,i have some money,i can stay in England for a bit,doing my TEFL and TOEFL diplomas then apply to INTERIM or another program that seeks teachers for japan. I want to teach there for like 2-3 years,have a good salary and an appartment to live.After those years I might go back to the Tourism industry. Or i might have another option,to find a job in japan in the HOTEL industry,wich can be hard and i don't know where to even start with that. The japanese level for me is echelon A2 . So,how do you think I could handle finding a job in japan in the tourism/teaching career,I seriously want to find a job in japan,stay there for a couple of years ,then come back. So let me rephrase,i want to go to japan to work,for 2-3 years then come back,assess the situation then think what I could do next. These are typically required in order to secure a work visa for the applicant. If you are a non-native speaker, you still have a chance if your English level and ability is close to native speaker level. I would recommend you getting as many of the above as possible if you are interested in this career. You can always pick up teaching/tutoring experience anywhere in the world and this will look good on your resume. Kon'nichwa! ^-^ I wanted to know if there was any other jobs in Japan other than entertainment, modeling, and teaching. It's always been a dream of mine to live in Japan, but i knew i would have to consider the fact that jobs for foreigners are very low. The best career area for me would either be government/criminal justice/federal law or chemistry/biology/science, i completely understand if those listed are utterly out of the question, but i would just like to be certain. Hello Izuki Vazari, These are the most common forms of employment for foreigners in Japan. Of course, there are plenty of other jobs available as well and they all depend on your qualifications, experience and ability to perform these jobs to a high level of competence. If there is a demand for a job in Japan then it is open to foreigners who are highly qualified as well. Other fields you might be interested in include IT, computer science, science and engineering. 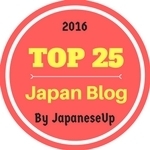 Take a look at the GaijinPot website I recommended above to see what work is currently available in Japan.